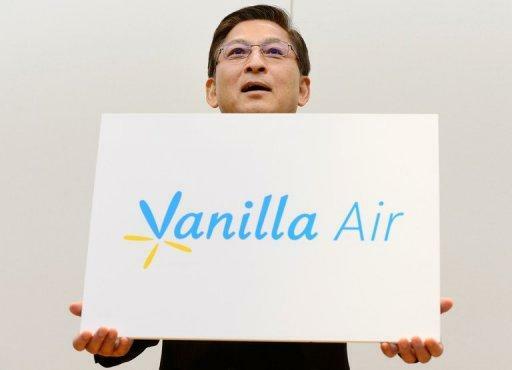 Budget carrier AirAsia Japan is being rebranded as Vanilla Air, the airline announced Tuesday, with its president saying that vanilla is "loved by everyone in the world". Executives chose Vanilla Air from over 200 other names, taking a month and a half to decide. "We chose vanilla as our brand name because it is popular and loved by everyone in the world," the airline's president Tomonori Ishii told a news conference in Tokyo. "I think it is a very cute name." The name was chosen -- despite its connotations of "boring" or "bland" in the West -- following the break-up of a joint venture between the airline's parent companies, Malaysia-based AirAsia and Japan's All Nippon Airways (ANA), which now wholly owns the carrier. The airlines announced in June that the joint venture would be terminated by the end of October, just over a year after the carrier began flying out of Tokyo's Narita airport, due to a slump. AirAsia Japan, which was equally controlled by AirAsia and ANA, booked an operating loss of about 3.5 billion yen ($36 million) for the year to March. Ishii said the slump was partially due to the company's extra focus on online sales -- a key strategy for AirAsia, but many Japanese travellers still book flights through travel agents. AirAsia Japan was one of three budget airlines to come online in Japan over the past couple of years, promising to shake up a sector long controlled by ANA and rival Japan Airlines. The Japanese aviation industry has been notorious for sky-high landing fees and fuel taxes. AirAsia Japan President Tomonori Ishii unveils its new brand name 'Vanilla Air' in Tokyo on August 20, 2013. The name was chosen from a list of 200 possibilities. 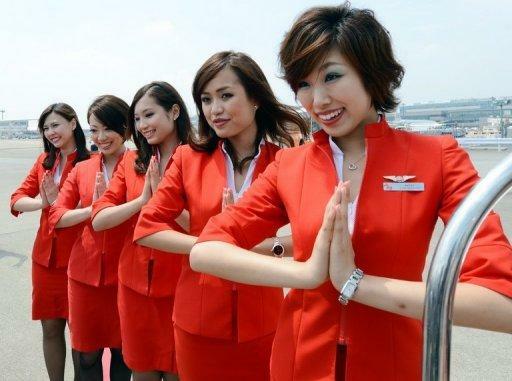 Air Asia Japan's cabin attendants at Narita International Airport on July 19, 2012. All Air Asia Japan staff will become Vanilla Air staff.